This easy eggless mango cake recipe using mango pulp and semolina flour is one of the most delicious cake recipes I have tried. 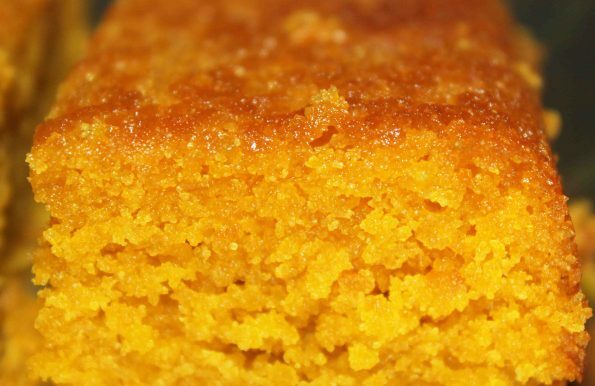 This eggless mango cake is made without yogurt as well. This is so delicious you won’t feel missing the all purpose flour or cake flour in it, as the fine semolina flour blends well with the mango flavor in this exotic mango dessert cake. 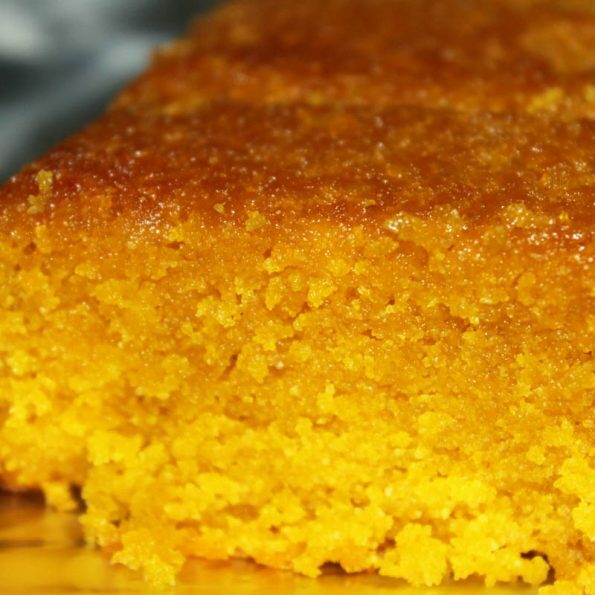 I used fine semolina flour and mango pulp to make this delicious mango cake. I used two cups of mango pulp for this mango cake recipe which made it super moist and extra soft. This mango cake is perfect as a snack cake for tea time or coffee time. You can share this mango cake with our friends and family also as a very unique and delicious dessert cake for tea party. The texture of this delicious mango cake is very soft and unique and perfect for an exotic dessert which kids too will love. Semolina flour or sooji/rava flour as known in India is fine durum wheat flour. 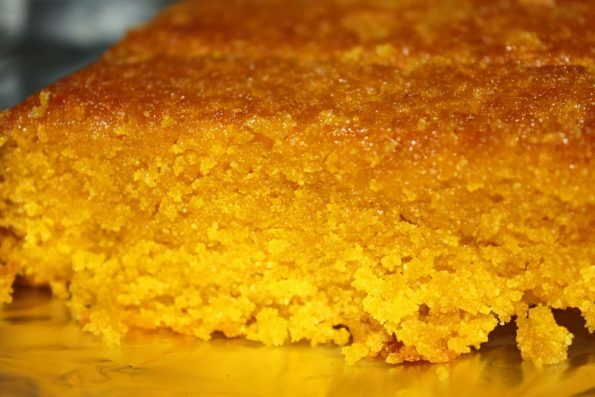 This mango sooji/rava cake or mango semolina cake is egg free and you can even try to make this with pulp made out of fresh mangoes if you like. It’s super easy to make and tastes delicious. 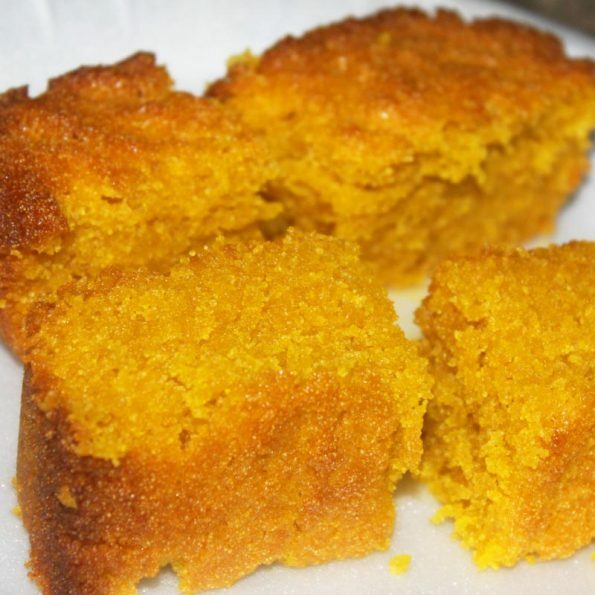 If you have got mango pulp and fine semolina flour, you can easily try this easy eggless mango cake recipe made using mango pulp and semolina flour. 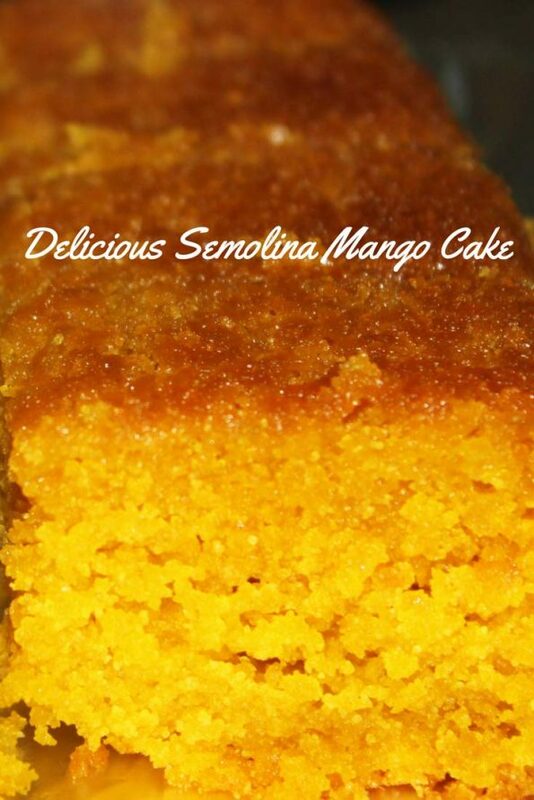 Simple, easy to make and delicious eggless semolina mango cake recipe (Indian style cake recipe) using semolina flour (sooji/rava) and mango pulp. In a bowl, add the semolina flour (sooji/rava flour) and baking powder - mix well. In another bowl, mix well the melted butter, sugar and mango pulp. Mix everything really well. Add the butter sugar mango mixture to the semolina flour and mix everything until well combined. Grease butter in a pan and pour the cake batter ( the batter is quite thick). Wait for the cake to cool down. Slice the cake, serve and enjoy! 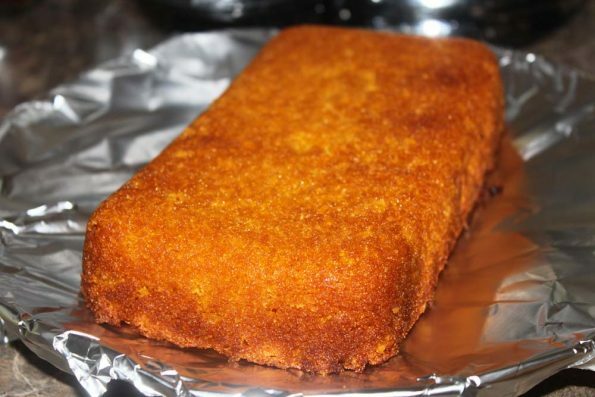 I used a loaf pan to bake the cake but you can also use a cake pan or loaf pan as you wish. Hope you found this easy eggless mango cake recipe or easy semolina flour cake recipe using mango pulp helpful!